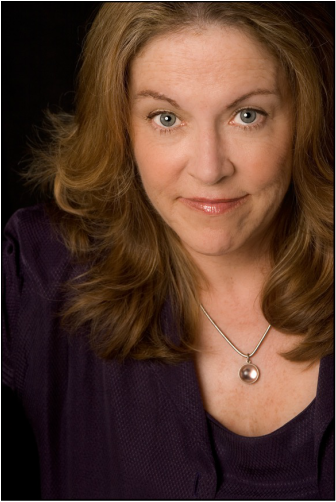 Angela von der Lippe is a novelist, essayist, translator, and former trade publishing executive at W.W. Norton. She has published the historical novel The Truth about Lou, based on the life of Lou Andreas-Salome, muse to Nietzsche, Rilke and Freud, and she has edited and translated the first English language edition of Salome's memoir of Rilke, entitled You Alone are Real to Me: Remembering Rainer Maria Rilke. Current projects include a novel exploring the parallel worlds of C.D. the Master and a dog named Darwin, from which 'A Dog's Life' is a snippet. And she is now in the process of refining and completing a memoir (with the working title ​​When I'm Sixty-four) that chronicles the mother-daughter homecoming/caregiving experience from the inside and lays down an elder's last testament for end-of-life dignity. Angela lives with her husband and two dogs, Ras a Black and Tan Cavalier, and his new Blenheim brother Win, in coastal Rhode Island and in the Adirondacks. In addition to her work as an elder advocate and ombudsman on Aquidneck Island, she is a founding member of the Redwood Writers' Circle at the country's oldest private library, the Redwood, in Newport RI. Revered in her lifetime by Friedrich Nietzsche, Rainer Maria Rilke and Sigmund Freud for her brilliance as well as her charm, Lou Andreas-Salomé (1861-1937) has been posthumously viewed largely as a serial muse and femme fatale—alternately conniving, manipulative or nurturing, here sexually rapacious, there incapable of intimacy. These differing portraits, delivered as truth, cry out for the muse herself to speak. With this scrupulously researched fiction, drawn from the biographies, the letters and their lacunae, and from some remarkable but neglected literary sources, Angela von der Lippe tells Lou’s story in her own voice. 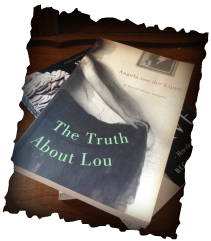 In her debut novel, THE TRUTH ABOUT LOU: A Novel After Salomé (Counterpoint; December 1, 2008; $14.95 paper back) Angela von der Lippe utilizes her skills as novelist and literary detective to give us a fascinating, emotionally nuanced portrait of who Salomé actually was. Von der Lippe seeks to capture what motivated Lou in her relationships, and what drew her to these towering cultural icons and them to her. She explores the life experiences underlying Lou’s writing—some eight novels and formidable critical works, including a book on Ibsen’s women (1892), the first work on Nietzsche’s ideas (1894), and an exquisite memoir of Rilke, published the year after his death (1927). Finally, she examines Lou’s perplexing sexuality as it emerges in her relationships: at 16, a traumatizing encounter with a married pastor; her lifelong unconsummated marriage with the much older Carl Andreas; at 36, her affair with the 22-year old Rilke, her first lover; and from that, a pregnancy never explained, which becomes pivotal to the novel. In her literary sleuthing, von der Lippe has uncovered plausible evidence for her fictional invention of a child lost to the world, separated by wars and the devastation of the Holocaust. The novel opens with writer Anna Kane, rummaging through a hatbox of her grandmother’s personal effects—hatpin, corsage, dictionary, postcards and a priceless volume of Rilke’s poems inscribed to Lou, bequeathed to her by her grandmother (who escaped Poland before the occupation in 1939). Researching Lou’s life, Anna sets out to unravel the connections between Lou and her grandmother. Summoning the muse’s voice, she writes Lou’s life story, beginning in Imperial Russia and ending in the menacing dawn of Hitler’s Germany, tracing Lou through the twists and turns of her relationships, hints of a lover, a child, a mentor, listening to her boldly expounding on religion, feminism, analysis—all the while pursuing her character, filling in the pieces, following the clues to a startling discovery. "A heartfelt illumination of the fabulous career of a new age woman from another age, this lingering meditation on love, limit and loss will chime in the reader's imagination for months afterward." "The truth is often best told from the undusted corners. Angela Von der Lippe manages to dignify the process of fiction, while also bringing forth a cast of history's best characters. This is an alternative history, and also an alternative fiction, told with style, bravura, grace, depth and power." “Lou is an intelligent and moving evocation of an extraordinary woman's life. Von der Lippe subtly marries the 'real' with the imaginary in a gripping recreation of the woman who was the turn of the 20th century's thinking 'femme fatale'. Never before available in English, You Alone Are Real to Me documents the relationship between Salomé and Rainer Maria Rilke that spanned almost 30 years. Salomé gives an intimate account of Rilke's poetic development from the early romantic poems to the sculpted new poems and the final breakthrough of the Elegies. From their romantic beginnings to the later twists and turns of their separate lives, Rilke appealed to Salomé during times of crisis in his writing as well as in the intimate matters of his life. Salomé captures both the summit and the abyss of Rilke's creative struggle. The memoir offers a stunning portrait of Rilke, as we in the English-speaking world have never really seen him. Richly illustrated with photos, this book is an indispensable work on the author of The Duino Elegies, as well as a rich resource for the growing interest in Salomé. Lou Andreas-Salomé was born in St. Petersburg, Russia, but lived most of her life in Germany as a famous novelist, memoirist (of Rilke, Nietzsche, and Ibsen), friend to Freud and critic. She was praised by Freud as the smartest woman he had ever met, and prized by Rilke as "one of the most wonderful people who have come my way . . . without the influence of this extraordinary woman my whole development would not have been able to take the paths that have led to many things." Salomé wrote his memoir in 1927, a year after Rilke's death. [Andreas-Salomé] created a credible and complex portrait of the poet as a man who longed to transcend mortality, often tormented by his own physical existence. Without direct expression of feeling, she conjures the man and his profound importance to her as poet and dear friend in this unusually thoughtful memoir, superbly translated from the German by Angela von der Lippe. This peculiar, thoughtful abstruse, understated, evasive, fascinating, irritating, impersonally intimate and intimately impersonal memoir by Rilke’s muse…is a narrative of the poet’s inner life. All such ventures by anyone who is not the liver of the life are obviously limited, but Salome comes as close to knowing the other as anyone can…That is why this memoir is so coherent, so harmonious… there is a marble-like tranquility to the writing, not the tranquility of recollected passion-storms, an ambiance of abstraction not far removed from that in Rilke’s mature poetry…Reading these passages, I’ve come to feel happy on the poet’s behalf, happy that he had someone he could cherish so well from his inhuman distance. I hope and suspect that she also found her fulfillment. Now they both lie dead. Has she too gained all that she promised him? At last, Angela von der Lippe’s superb translation of and insightful Introduction and Afterword to Lou Andreas-Salome’s memoir of Rilke do justice to subject and memoirist both. This is, after all, not just a remembrance of a major poet; it’s a glimpse of that poet through the eyes of a woman who was herself a significant figure of her time. Lou, who made existence comprehensible for Rilke, here makes Rilke’s life comprehensible to us, and von der Lippe’s ear for both voices is as sensitive as her scholarship is scrupulous. What pleasure! Written a year after Rilke’s death, Lou Andreas-Salome’s memoir reveals an astonishing sympathy for Rilke’s poems and a vigorous, straightforward understanding of the poet himself. It is an exhilarating guide and the best possible introduction one could have to the poems. In fact, because it sheds so much light on the elusive sources of Rilke’s poetry, it is essential reading for anyone seriously interested in the great poet’s work. Angela von der Lippe’s Introduction and Afterword are brilliant, and her translation is masterful. You Alone are Real to Me is eloquent and superbly nuanced. Von der Lippe’s introduction and afterword are critically splendid.